The How to Study History software package was designed as an introduction to history and provides a glimpse of how to work with historical dates and events, maps, and primary sources. The Primary Sources program is devoted to studying main types of primary sources; it teaches pupils how to classify them according to the time and goal of their creation, and how to identify their authenticity. To learn this, pupils are invited to visit a museum, an archive and a library, where they can learn a lot of new and useful things for their further history courses. 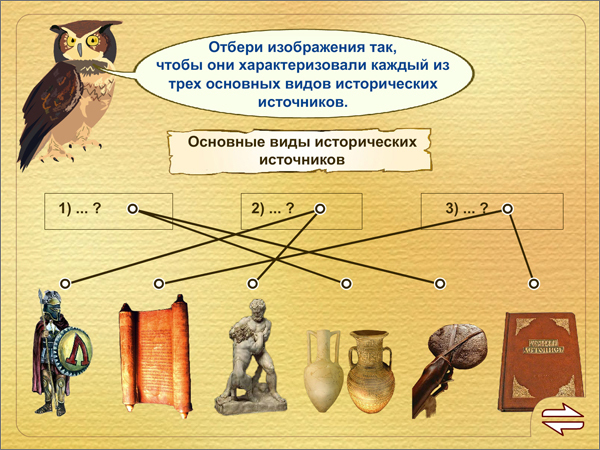 The learning process is based on the principle of discovery, as when pupils are given a situation for which they have to offer their own solution, though they can consult the heroes of the program - a wise owl Sonya and an Antiquarian. 1. "Antiquarium". In this section, pupils investigate the problem of how to find primary sources, where they are stored and how to work with them. To achieve this, pupils go to a museum where they will encounter material sources and learn how to identify their purpose and date of creation. In another hall of the museum, pupils learn of different types of historical visual arts. They are going to understand, what the images created by artists at different times can tell about the past and how to identify which creative works would be the most authentic ones for the contemporaries. 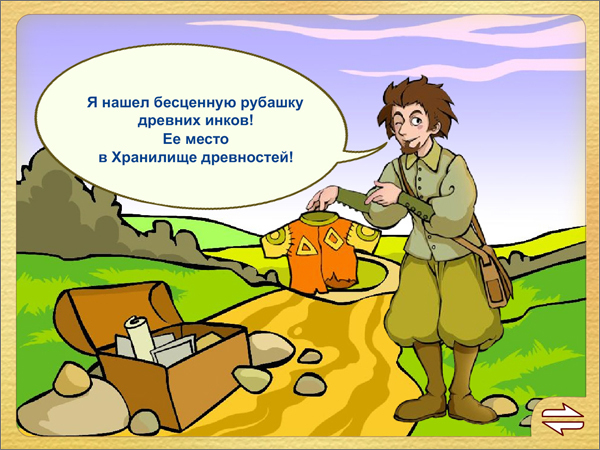 In the archive, pupils will learn how to recognize written historical sources; they will learn what people of different ancient countries used to write on, and will try to restore the text of an ancient chronicle by the sequence of events. In the library, pupils will learn what various printed sources can tell. 2. "Ancient Scripts" contains information on how knowledge was transmitted from one generation to another in the past. While studying this, pupils are offered a number of interesting assignments; for example, they are requested to write a message with ancient signs. 3. Training (16 assignments) A separate block of assignments trains pupils to work with primary and secondary sources of historical information. 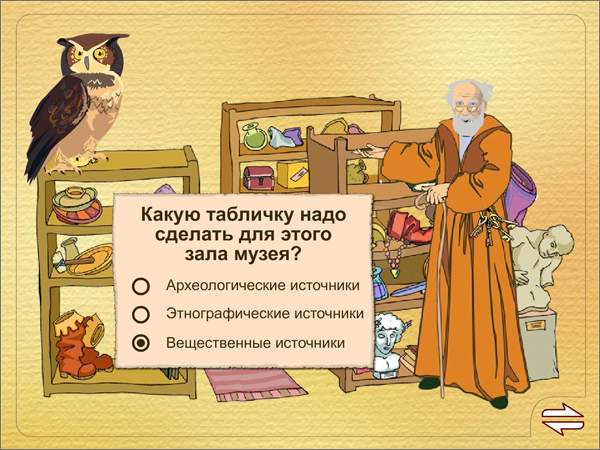 The tasks are based on examples from various historical periods. Here, pupils will have to work hard in order to answer all the questions which require research of various sources. Completion of these assignments is monitored by the computer. In case of an error, a hint is offered and another attempt to solve the problem is granted. 4. 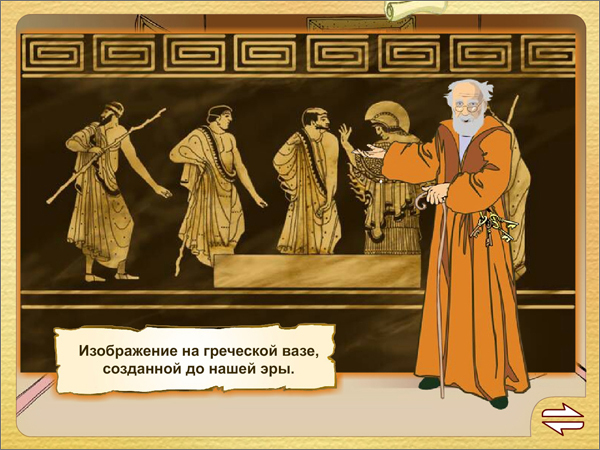 Game "Parthenon." Parthenon - the most beautiful monument of ancient culture - is an evidence of the life in the past. Participants of the game will have to restore Parthenon so that it looks like Ancient Greeks used to see it. The contents of "How to Study History" software package allow for its use as a source of information for independent test preparation. The superb quality of visual materials allows for effective application of program materials as visual aids for frontal class work. Using an interactive whiteboard may help to expand the teacher’s facilities when working with the class. Unconventional multi-level assignments and exercises allow for using this software package for knowledge consolidation and testing.